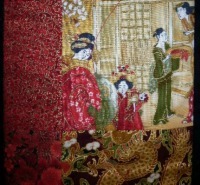 Above is a photo of my Asian quilt 2. 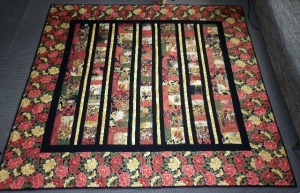 My first quilt using Robert Kaufman's fabrics 'Oriental Parade' was made in 2009. You can see it here. 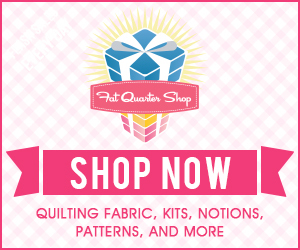 I bought most of the fabric for this first quilt at a quilt exhibition, so to be sure that I had enough I bought a lot. I also just couldn't resist them. After making the first Asian quilt, my daughter wanted it for herself. She has had lovely comments from friends who have visited. I then began to feel quite guilty at the amount of fabric I had left over!! So this is what I made with it in 2010. It wasn't until 2014 that I finally turned the quilt top into a finished quilt. It's huge - easily big enough for a queen or king sized bed. I still have a bit of fabric left over so like all thrifty quilters I am using it up in wee 6" blocks. More about that another day. 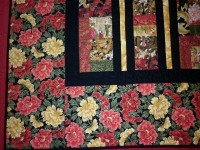 The quilt is made up out of strips and there is a simple repeating block in each vertical row. Completed 6" x 6" block. There are 4 strips using this block. Strips 1, 3, 5 and 7. Completed 4" x 6" block. There are 3 strips using this block. Strips 2, 4 and 6. 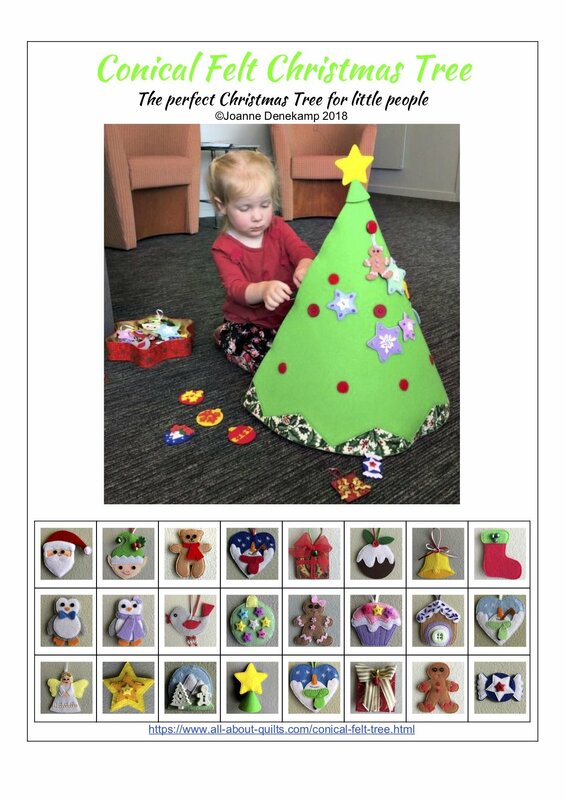 Each block size was determined by the remaining fabric I had. What I did first was to cut 4 1/2" x 4 1/2" squares from all the fabric with images. I then added a 4 1/2" x 2 1/2" piece to each 4 1/2" square. Next I cut 2 1/2" x 6 1/2" pieces and sewed these onto one side. There wasn't enough fabric to add this last piece to every block and so that is why the strips are made from different sized blocks. 2. Have a quilt top fit a queen bed. 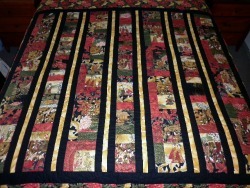 The photo above shows the finished quilt on a queen bed. My favourite fabric from Robert Kaufman's range was this lovely floral print. 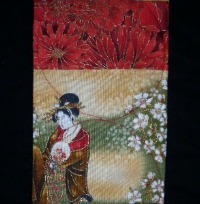 I added this as a wide border that hangs over the edge of the bed.